Alice McDermott is a remarkable writer with something to say! She believes in the voices of women and sets the task, as a writer, to give them voice. Thank you, Alice! 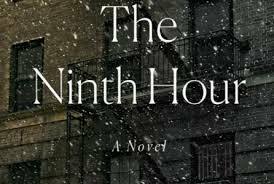 At the Studio, we spent three classes talking about her wonderful new book THE NINTH HOUR. The questions were these: Who is narrating this point? From what point of view? How does she develop character along the first, second and third dimensions written about in STORY ENGINEERING by Larry Brooks? And, who is the protagonist? This wasn’t as easy to figure as you might think. We had to go to plot to answer the question. This recording, an hour long, is the summary of two classes that ask and answer these questions. Some support documents to help. 1) Read or listen to THE NINTH HOUR (that will help the most). 2) Listen to her two interviews on First Draft. 2013 & 2018 3) Read this New York Times editorial she wrote and released during the same time frame as our conversation (thanks to Allen in Studio I for bringing that gem to my attention). 4) Click here for a plot breakdown from THE SEVEN BASIC PLOTS by Christopher Booker. Now, click here and listen to the class and enjoy.